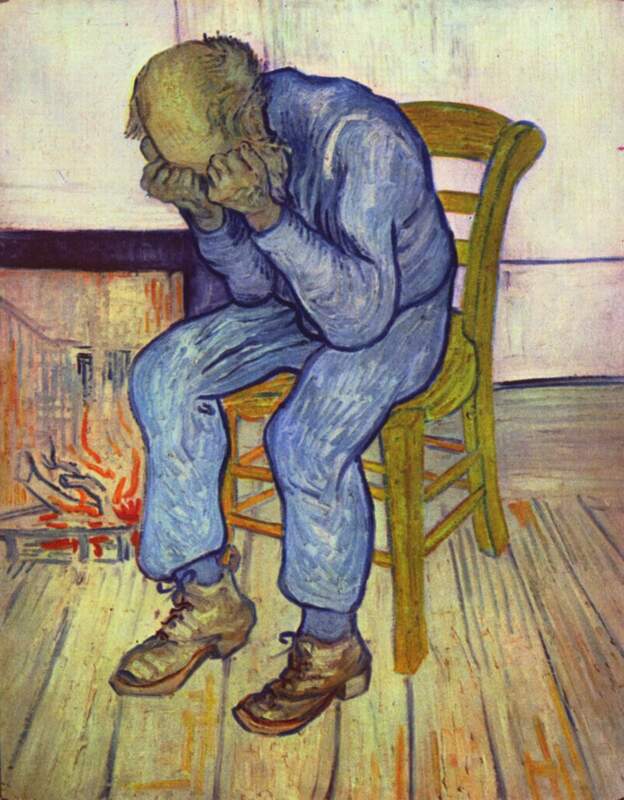 At Eternity’s Gate, by Vincent Van Gogh, oil on canvas painting, Kröller-Müller Museum (The Netherlands), May 1890. (Eloquence via Wikipedia). In public domain. I’ve learned the hard way how the world of academia treats folks who break its unwritten covenants. The ones that say accept all of our strictures about what to publish, how to write, when to write it, about tenured/tenure-streamed vs. non-tenured, adjuncts and graduate student TAs and unionization, among so many others. Those of us who make trouble, who question the archaic wisdom of those in our world, are often cast out, rendered invisible or otherwise completely forgotten about. The funny thing about going against the grain of academia — or at least, my fields of US/African American history and American education/ed policy — has been that criticism can serve as a better sign of acceptance than hearing nothing at all. It was like this for me in grad school at Pitt and Carnegie Mellon, and even my first five years after finishing my doctorate. 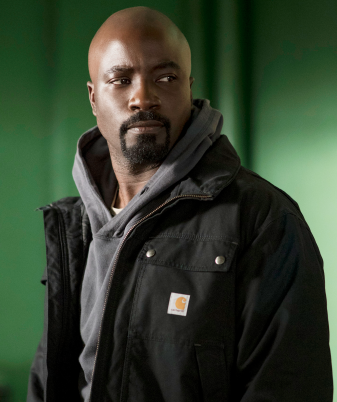 Whenever someone said that my work on multiculturalism and Black history was “interesting,” the flatness with which a professor or grad student said “interesting” was the key for me. If the “interesting” was completely flat, it meant “but I completely disagree with your line of research” or “this thing is too simplistic and boring for me as a scholar to get excited about.” If the “interesting” had a lilt to it or even a slightly raised eyebrow, it meant that one of my colleagues or more senior folk really found my work intriguing. That term “interesting” was my indication that some people acknowledged and understood the importance of my work, and that some absolutely couldn’t and wouldn’t. But over the past decade, as I’ve complained about the nature of academic writing, about the limits of scholarship and about the changing nature of academia itself (from a hiring perspective), the one thing I’ve noticed the most has been academia’s silence. The collective silence has been deafening, so much so that I finally concluded it meant not only disagreement, but a shunning as well. Like the Amish, only without the Rumspringa. I had fleeting moments when I noticed the silence, like at my second OAH presentation in Los Angeles in ’01 on Black women intellectuals and multiculturalism. Even though my research was sound, I knew I needed to work on drawing clearer connections between how I’d been defining intellectual and connecting it with notions of cultural pluralism, and thus, multiculturalism. With forty people in the audience, and with thirty-five minutes of Q and A, no one asked me a single question. No one in the audience, it seemed, was interested in multiculturalism or historical contributions to the idea from Anna Julia Cooper, Zora Neale Hurston, Mary Church Terrell or anyone else. I noticed even more as I submitted my first book Fear of a “Black” America for publication with the university presses prior to ’04. 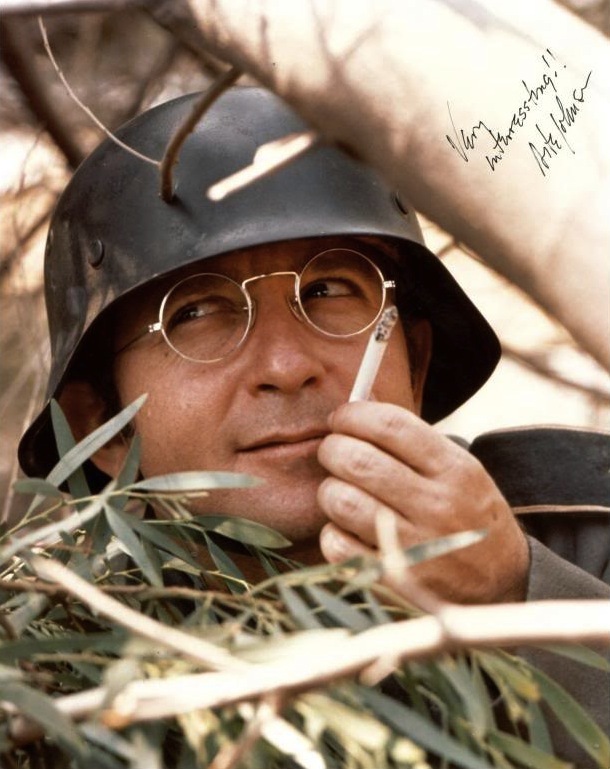 At least with the likes of Praeger and Farrar, Straus & Giroux, I’d frequently get a detailed response, good and bad. But with the university presses, it was deadly silence. I guess me working full-time in the nonprofit world and only teaching ed foundation courses part-time was one of my deficits. The final set of hints of silence that came my way was in the year after I published Fear of a “Black” America. I decided in ’05 to write an article on the overuse of the term scholar-activist, an article I published in Academe Magazine that fall. Grad students tended to like it, activists outside of academia have cited it hundreds of times, and my immediate circle of friends in academia loved it. But my relevant fields within academia remained silent about it. They were silent about my argument that exercising academic freedom doesn’t automatically make one an activist, and that academic writing, even writings that lean hard to the left, don’t make an academician an activist either. 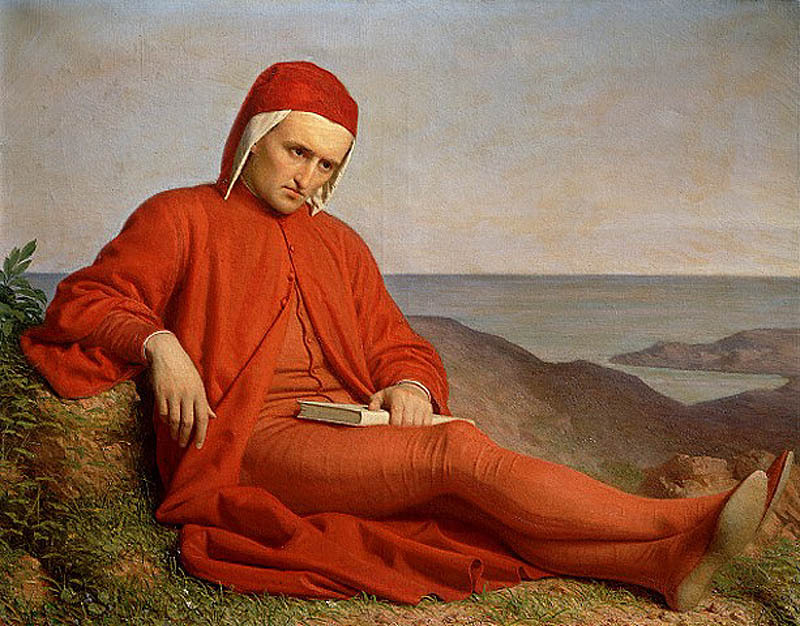 Dante in Exile (n.d.), painting by anonymous author, Archivo Iconografico S.A., Itália, June 3, 2006. (Fernando S. Aldado via Wikipedia). In public domain. I realize then I had evolved as a writer to the point where I wasn’t just uncomfortable with academic writing, the tenure process and the lack of unionization for adjuncts and grad students — I’d been uncomfortable for years. No, I wanted a teaching, even administrative relationship with higher education for sure, but not one where all of my eggs were in the academic writing basket. Unlike Joshua Rothman’s grand assumption in his “Why Is Academic Writing So Academic?” piece in last week’s New Yorker, that “[p]rofessors live inside that system [of academic writing] and have made peace with it,” I have not and will not make peace with this. Ever. I think Nicholas Kristof is a hack, and that most of the columnists of The New York Times are hacks as well. But in knowing the sadistic silence of academia as well as I do, I also know that this world of higher education can and does grind many of its participants up, often without making the slightest sound. It’s a wonder that I’m still teaching and writing anything at all. 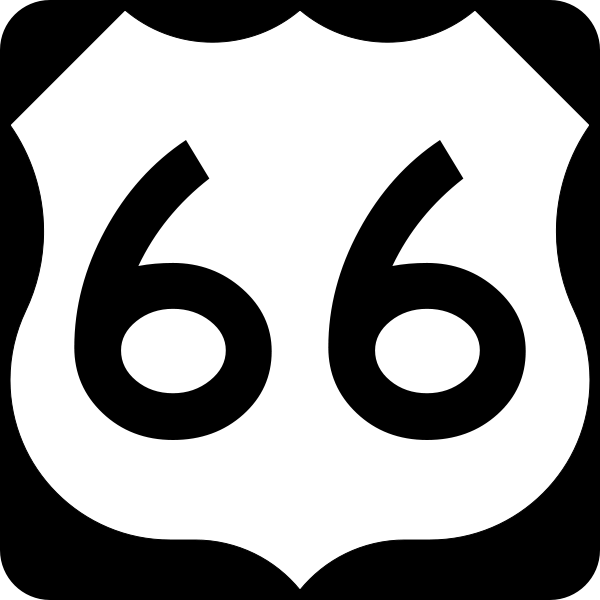 U.S. Route 66 shield, made to the specifications of the 2004 edition of Standard Highway Sign, January 27, 2006. (SPUI via Wikipedia). Released to public domain. Today was my Mom’s sixty-sixth birthday. I’m just beginning to come to grips with the fact that Mom’s a senior citizen, considering that she was only twenty-two when she had me in ’69. It’s been a roller coaster ride through hell, with many downs and only a handful of ups over those years. The one casualty in those years that we haven’t overcome has been the ability to share everything that has been my life with her, especially in the last decade. I learned the hard way sixteen years ago that the lack of distance in age between me and Mom resulted in a sort-of competition. It was one of which I hadn’t been aware until ’97. It involved higher education, finding work and finding full-time work. It involved friendships and relationships, God and church, and finding a passion for a calling. Week after week, and year after year, from ’87 to ’02, I talked on the phone or at 616 with my Mom about these situations and issues. Only to find that my triumphs and failures were only a point of comparison for her, and not a conversation involving life and lessons. When I finally realized this in ’97, and did an intervention involving my family on this and other issues in ’02, it was the third most emotionally painful thing I’d ever been through. I had to decide how I should talk to my Mom moving forward. I made the choice to not share significant parts of my life with Mom. From that point on, I chose to not discuss any victories or struggles in my jobs, in finding work, in consulting or teaching with her. Nor have I talked about my marriage’s ups and occasional downs, my writings, my publications, my projects, my hopes, my dreams, my fears, or my struggles. Mostly, I’ve only talked about my son and his glacial journey toward adulthood, the weather, my siblings, or something in the news that may be funny or relevant. 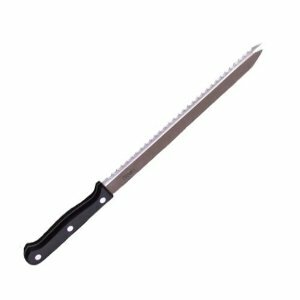 Ginsu 9-Inch Japanese Stainless Steel Slicer, October 28, 2013. (http://www.amazon.com). This has been the case since the summer of ’02. Uncomfortable silences and frequent struggles to think about what to actually discuss that could have real meaning, have been what this has meant for the two of us. Given her response to the intervention I conducted in January ’02, I can only imagine what Mom’s response would be to Boy @ The Window. On the one hand, she would act unimpressed, as if I’d written a book about organic chemistry and nanotechnology. On the other hand, my Mom would likely be seething behind her ho-hum mask, ready to rip my throat out for airing family secrets and dirty laundry. (I actually dreamt as much the other night, being at a book talk with Mom coming over the table, slashing at me with a Ginsu knife). I haven’t been angry with my Mom for years, and I forgave Mom for any mistakes she made regarding me growing up years ago. But I know my Mom well enough to know that our relationship could never be an adult mother-son one, where I get to be an adult and her son at the same time. Part of that means me remaining silent about a significant part of my life, including a memoir in which she’s a main character. It’s too bad, yet it’s also the way it must be. For my emotional sanity, as well as for hers.